Vikings are pretty trendy of late. Marvel’s Thor films, for example, gave Viking mythology the Hollywood treatment and plonked its characters in contemporary America. There have been multiple Viking exhibitions and the new season of the History channel’s show Vikings, loosely based on the legendary Icelandic sagas, is about to hit the small screen, too. So, you may find it hard to avoid overhearing details of the adventures of Vikings’ King Ragnar Lothbrok and his fellows in coming weeks. 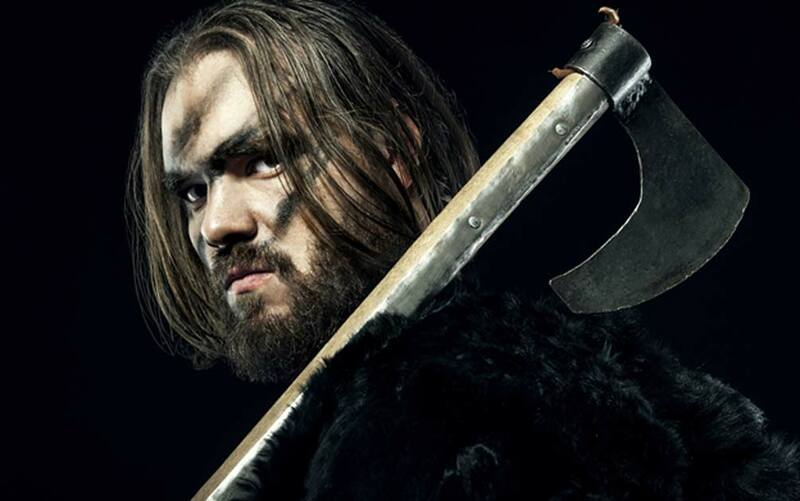 Undeniably, the names of the television show’s characters, such as Bjorn Ironside, Sigurd Snake-in-the-Eye, and Ivar the Boneless, stand out jarringly from the usual linguistic landscape, and with the confirmation of new characters being added to the cast, this horde of oddball Norse names is sure only to get weirder. In all societies names are important linguistic signifiers of identity. They also carry historical information in various ways. In the modern English-speaking world, for example, people are familiar with the convention of given names paired with a surname – e.g. Joseph Henry Bloggs. But the names of Viking-Age Scandinavians typically consisted of single given names combined with patronymics marking paternal descent. As an example, let’s take the legendary hero Ragnar himself. Written in Old Norse, the sagas describe Ragnarr Sigurðsson (Ragnar, the son of Sigurd). This convention is particularly useful for tracing genealogies. Rather than following the tangled branches of a surname’s family tree, these names more clearly convey genealogical information and can be linked together to neatly unpack family histories. For example, using the sagas, Ragnar’s name could be expanded further to Ragnarr Sigurðsson, Randvéssonar (Ragnar, the son of Sigurd, the son of Randvér). This structure, still in use in Iceland today, has allowed modern Icelanders to reliably trace their family histories for a millennium. But if he was born Ragnarr Sigurðsson , where does Lothbrok come from, and what does it mean? The third common component of Viking-Age Scandinavian names was a nickname, Ragnar’s being Lothbrok, or loðbrókin Old Norse. So, his full name is Ragnarr loðbrók Sigurðsson . Nicknames were especially important to Viking-Age Scandinavians, as evidence suggests that their stock of given names was extremely thin. Apart from introductions, sagas tend to describe their characters solely by their first and nickname for easier identification. This is why we most often hear about Ragnarr loðbrók , rather than his full name. An individual’s nickname could even become so ubiquitous that it replaced a given name, as pointed out by Diana Whaley . She highlights examples from the sagas, such as a Thorgrim, named after his father ( Þorgrímr Þorgrímsson ), who was renamed Snorri, a nickname describing his tempestuous nature. Though Viking-Age Scandinavians placed greater importance on nicknames than many of us do today, their nicknames functioned in the same way we’re used to: each described a particular aspect of an individual’s nature or life that carried particular resonance. This was not always desirable: names such as Ulf the Squint-Eyed, Eirik Ale-Lover, Eystein Foul-Fart and some that are even worse demonstrate that people rarely had a say in the nicknames they carried. The makers of the Vikings TV series have attempted to address the idea of Viking nicknames and where they come from, particularly those of Ragnar’s sons, but Ragnar’s nickname – Lothbrok – has gone unexplored and has even been used almost like a surname in the series. This is probably because it means ‘shaggy trousers’. At first this hardly seems a nickname befitting a Viking warrior king, but then again, neither does Finehair, the nickname of one of the confirmed new characters being introduced to the show, Haraldr Hárfagri . But while some nicknames are downright slanderous, Ragnar’s and Harald’s are in no way belittling. In fact, they actually contain information about the heroic exploits of their bearers. The sagas tell us that Ragnar earned his nickname from his use of shaggy garments to protect against the bites of a giant serpent he killed, while Harald earned his by swearing never to cut nor comb his hair until he had conquered the whole of Norway. Other names convey something about the physical attributes of their bearers: such as Walking Hrolf, who apparently was too big to be borne by a horse, or Thorsteinn Dromund, who purportedly moved as slowly as a great warship. Some can even reveal something about the way the individual dressed or their international outlook: such as Bare-legged Magnus who is recorded in one source as having adopted a more Gaelic fashion sense and Olaf Sandal who seems to have taken to wearing contemporary Irish footwear – when he is named in sources, his nickname even usually appears in its Irish form. These nicknames are essential to historical or fictional portrayals of these characters. Whether used in a medieval saga or a modern television series, they connect characters to complex webs of allusions, involving family histories, personal back stories, and even more distantly related tales. They were vital in driving the narratives of the sagas and today are an under-utilized resource for the reimagining of these stories. Top image: Formidable Viking in Armor with axe. Source: alexmina / Adobe . The article ‘ Ragnar Shaggy-Trousers and Eystein Foul-Fart: the truth behind Viking name’ by Keith Ruiter was originally published on The Conversation and has been republished under a Creative Commons license.